A rather cloudy Saturday, looks like some rain might fall. What do do? How to entertain the kids? Last weekend was like this. Certainly not a day for the beach; my wife suggested we just stay home and do the garden, but I normally take just one day off per week, and gardening is a waste of a day. We all woke up fairly early for some reason, and with the weather being undecided, we decided to play it by ear. First stop: Noodles... We drove a couple of miles to a favourite little noodle shop near Kathu Waterfall. So... where now? 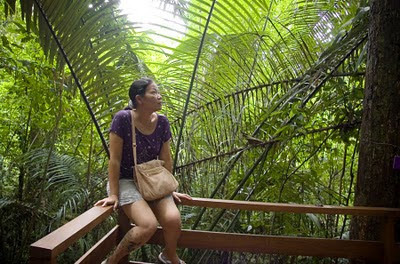 We were not too far from the Phuket Tin Mining Museum, and the kids wanted to go again. My wife has not been yet. We'd heard it was all closed up now while work continues to finish it... and that was correct. Lots of work going on around the place, they are building a huge mock-up of a mine with a lake and a Chinese style bridge - looks like it will be great. OK, so .. no museum. 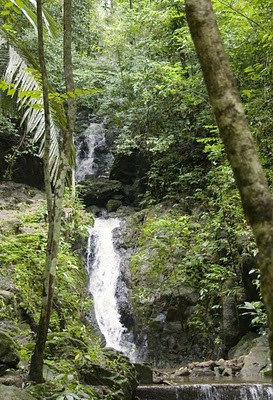 I had been up in the Ton Sai area last week for the Phuket Butterfly Release, and since I thought maybe we should take a little walk and get some exercise, I suggested we drive to Ton Sai Waterfall. Head up north toward the airport, past the Heroines monument to Thalang town and turn right. 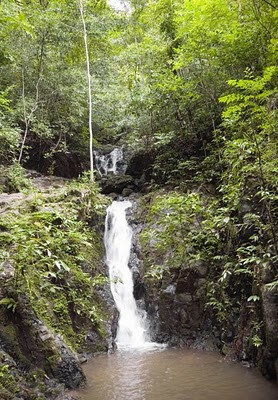 Ton Sai Waterfall is part of the Khao Phra Thaeo National Park, a huge green area. 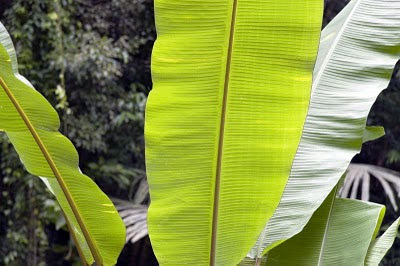 The road from Thalang is narrow and lined with rubber trees, pineapple groves, banana trees and more. This part of Phuket is very rural, with most land used for farming. I blogged the waterfall a couple of years ago. Low season, away from the main beaches... not a surprise that we were almost the only people there. Plenty of parking space and a walk up a paved path along a small river. Toilets are a bit scary but looks like new ones are being built. It's very green and very peaceful. 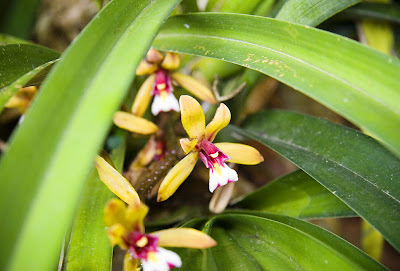 I found a beautiful orchid hiding in the greenery. (above) a couple of views of the waterfall.. at least the lower part of the waterfall. It was too wet, and the path looked rather slippery, so we did not try to climb higher. BUT, there is a nature trail, the start of which is about half way from the car park to the lower falls. The sign says the trail is 2km long. Not sure if that is 2km each way, or 2km there and back. Have not seen another trail, so I assume you walk up and down the same path. 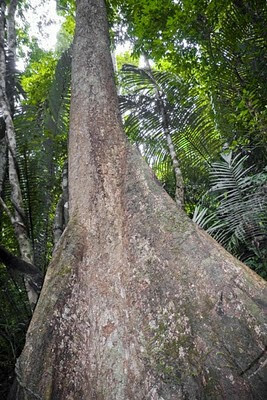 Buttress roots are common in rainforest as they serve to stabilise a shallow rooted tree in the soft ground and help to absorb nutrients in shallow soil. And they can look pretty cool! 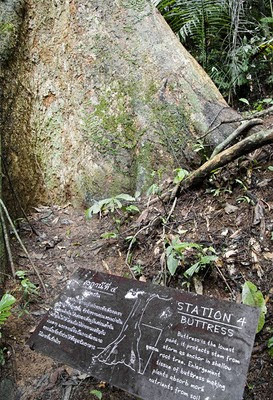 When you see buttress roots, you're in a rainforest. (above) My dear wife along the nature trail. Welcome to the Jungle!